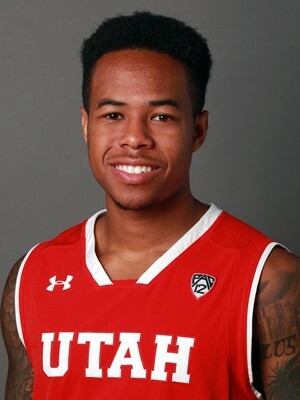 LAS VEGAS (AP) — After graduating from Long Beach State in the Spring, diminutive guard Justin Bibbins contacted Utah coach Larry Krystkowiak about playing for the Utes as a graduate-transfer. After three years with the 49ers, and two-time second-team All-Big West selection, it appears Bibbins made the right call. Bibbins scored 23 points, Donnie Tillman had 13 points and eight rebounds, as Utah used a balanced offense to defeat Ole Miss 83-74 on Monday night in the MGM Resorts Main Event. After scoring just two points in the first half, Bibbins caught fire by hitting 6 of 9 from the field, including 5 of 7 from 3-point range, to score 21 points in the second half. The Utes (4-0) defeated their second SEC foe this season, improving to 16-19 all-time against opponents from the SEC. Utah defeated Missouri, 77-59, on Nov. 16. “It’s a big confidence booster for us since we’re a new team, a new group of guys with each other, we know we can play with the best of them and play with the big guys,” Bibbins said. Despite losing four starters from last year’s squad that made the NIT, the Utes haven’t shown any signs of regression, having outscored their first four opponents by an average of 22 points. The Utes shot 47.3 percent overall, including 11 of 29 from 3-point range, and made 14 of 26 (53.8 percent) from the field in the second half. Tyler Rawson had nine points, 10 rebounds and seven assists, David Collette added 13 points apiece and Sedrick Barefield scored 12. “We’ve got a nice little rotation, and we’ve depended on different people … and that’s kind of the essence of our team,” Krystkowiak said. “And that’s what I really like about our guys, is they’re genuinely all engaged, and they’ll be some different guys on different nights. Mississippi (3-1) found itself in foul trouble late in the second half, with three starters getting their fourth by the eight-minute mark. The Rebels got within two with 4 minutes left, but Utah’s perimeter game was too much. Bibbins’ 3-pointer pushed the lead back to five, and an Ole Miss turnover led to a bucket by Rawson to give Utah a 76-69 edge a minute later. Deandre Burnett had 21 points, while Terence Davis and Breein Tyree each scored 10 for the Rebels. Utah: The Utes continued to allow their first-half dominance spark them in the second half, as they’ve been ahead at the break in all four of their games of this season. Mississippi: After averaging just 11.6 turnovers over their first three games, the Rebels committed what proved to be 15 costly turnovers. Utah hopes to remain unbeaten when it faces UNLV (4-0) on Wednesday. Mississippi will look to rebound from its first loss of the season when it faces Rice (1-3) on Wednesday.